I’ve had the Fostex HP-A3 DAC/Amp box for quite a while now but haven’t had the chance to write about it. I spent some time with it when I have just received it from Fostex and my initial impression was very positive. The sound is very clean with zero grain, soundstage was wide and deep. Tonality was very natural with a slight touch of warmth, slightly warmer than the CEntrance Dacmini or the Meier Stagedac, not as warm as the HRT Music Streamers, and quite close to the CEntrance DACport. The mids nice and full bodied. 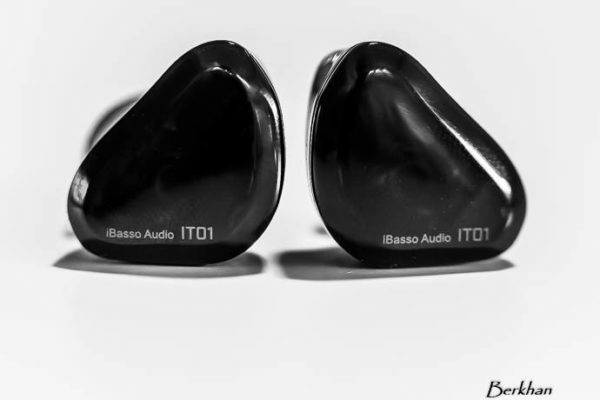 The tonal balance is quite similar to the DACport, except that the Fostex had a wider and deeper soundstage. At roughly the same dimension of the Audinst HUD-MX1, I thought of the Fostex HP-A3 as a high end Audinst. Not in the sense that they share a similar sound (the Audinst is darker and grainier), but in the sense that they are both fairly compact units that run off directly off the USB port. Personally, I love simple set ups like these. And then a few weeks ago the Schiit amps arrived, as well as the CEntrance, Meier and Graham Slee stuff. I decided to leave the Fostex alone for now and do the Schiit and CEntrance stuff first, since people have been asking for them for quite some time. After I got out the Schiit and the CEntrance articles out of the way, I started receiving shipments of the high end DACs which includes the Audio-Gd Reference 7.1 and Bryston BDA-1. 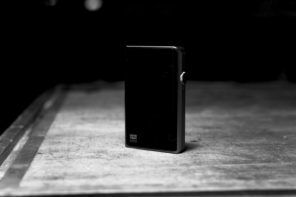 Surrounded by these high end DACs, I told myself, “I better get the Fostex review out, otherwise it’ll be postponed for another month.” And so here it is: my attempt to finish the Fostex HP-A3 review. At the moment my powerbook is connected to three DACs: the Fostex HP-A3, the Audio Gd Reference 7.1 and the Bryston BDA-1. I have been listening to the $2,000 Bryston for a few days now and when switched to the Fostex HP-A3, I was prepared to hear some serious drop in source quality. Sure enough I was hearing less definition on the instruments, ambiance was less defined, percussion not as impactful, the separation not as distinct, but as a whole, I was quite surprised on how similar the two DACs sounded. Yes, the Fostex HP-A3 and the Bryston BDA-1 is similar in their tonality. I am not saying that the $2,000 BDA-1 has been outclassed by the $400 Fostex. With high end gear, sometimes the difference may seem little on paper, but when you are hearing it, it’s obvious that the two gears belong to a different class. 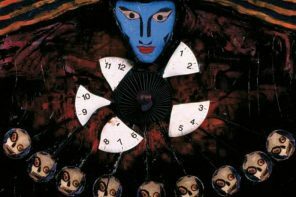 More definition on the instruments, better ambiance, better percussion, all of these combined translate to a big difference in how real the music sounds on your ear. It’s like reviewing the 3-series BMW and comparing it to the 7-series. I would write something along the line of: “the leather is softer, the ride more comfortable, steering lighter on the 7-series” — surely doesn’t sound like much on text, but the moment you take a sit on the cars, you know that there is no way the 3-series can be compared to the 7-series. 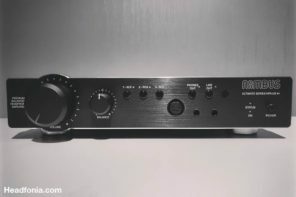 However, if I were to look at it from the Fostex HP-A3’s point of view as a $400 piece of DAC/Amp box, the comparison surely is flattering and indeed it brings my appreciation of the Fostex to a different level. Previously it was just a nice sounding DAC/Amp box. But now it’s the DAC/Amp box that sounds like the $2,000 Bryston. Oh, and the Fostex happens to add 24/96 over USB and a built in headphone amplifier, all of these while running directly off the USB port’s power. Now that’s awesome. The Fostex HP-A3 front and back. Notice that the HP-A3 is still made in Japan — hence the very high build quality. The HP-A3 uses Japan’s Asahi Kasei’s AKM AK4390 D/A chip which supports a 32 bit input data and up to a 216kHz sampling rate. Digital input is available in the form of USB and Toslink, the USB fixed at 24/96 while the Toslink can also be used up to 24/96 (I haven’t been able to find a source that transmits higher data rates through Toslink). At first I was confused by the 32-bit branding, as obviously the digital inputs only support up to 24 bit data lengths. I talked to Hiroaki @ Fostex about this, and his reasoning is that the Digital to Analog processing would be smoother and better through the 32-bit D/A chip. I really don’t have the technical knowledge to engage in an in-depth discussion about this, and so I prefer to leave it at that. Build quality is all around excellent and definitely better build than say the Audinst HUD-MX1 that is priced much lower at $180. If you have seen the Cambridge Audio Dacmagic, then the build quality of the Fostex is about the same. 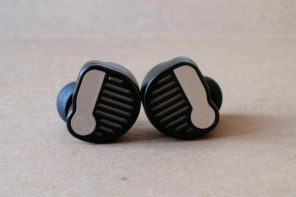 It would have been nice if Fostex also included a 1/8″ output together with the 1/4″, like what you get with the Audinst. Not a big deal, just makes operational a bit more convenient. 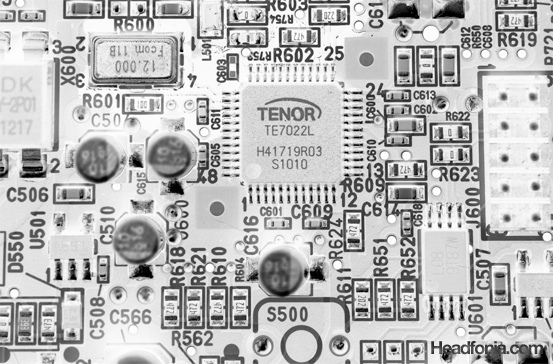 The Tenor TE7022L USB receiver is a very popular USB receiver chip used in many 24/96 USB DACs. TPA6120 based headphone amp with a Burr Brown OPA2134 op-amp on a socket. Despite the headphone amp being based on the TPA6120 chip and the Burr Brown OPA2134 opamps (both are very popular headphone amplifier chips), the sound of the Fostex HP-A3 headphone out sounds nothing like the other amplifiers based on either of these two chips. The TPA6120, for instance, though a very potent chip, normally has a noticeable amount of grain in the sound, though in quite low levels. The OPA2134 is usually not known for a smooth or refined sound. Somehow, with the design of the circuit on the HP-A3, and perhaps the choice of components as well (ie: all the electrolytic capacitors are Nichicon Gold), the sound of the HP-A3 is totally smooth and grain free, and definitely very similar to the sound of the Fostex HP-P1 portable DAC/Amp. The amp is not the punchiest amp around, but it definitely is a fine sounding amp and I didn’t have any complaints listening to the HD800 straight from the headphone amp out. 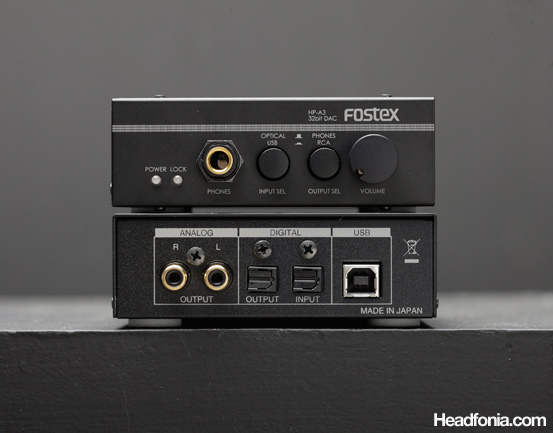 A product that begs an obvious comparison with the Fostex HP-A3 is the CEntrance DACport. Roughly the same price point, the same 24/96 over USB capability, both runs directly from the USB bus, and both comes with a built in headphone out. The DAC section is definitely better on the Fostex. Cleaner sound, more spacious sound, better separation et cetera. The Fostex is sort of in between the CEntrance DACport and DACmini. The Fostex being more spacious, warmer, smoother, and more laid back, where the DACmini is more lively, more forward and has a better articulation, bass control, and detail extraction. Overall the HP-A3 is a very strong performing product backed with the Fostex brand name. The tonality is very likable, similar to the HP-P1 and/or the Bryston BDA-1 that I’ve made references to. I suppose the point of discussion will mostly be around the price tag of the Fostex HP-A3. 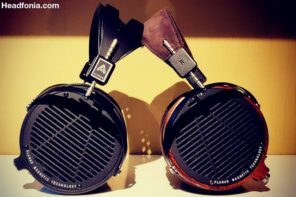 Street price of the Fostex HP-A3 is supposed to be around $400, according to Hiroaki at Fostex. Like the HP-P1, however, the Fostex DACs seem to lack a proper distribution channel outside of Japan. I found that the online retailer joynetmall has it for $479.85. Rakuten has it for $413.28. The best price I was able to find is from Amazon.jp which lists it for ￥ 30,520 or roughly $386.54. So at the moment the price is quite all over the place, but I think it’s safe to assume that the HP-A3 will be priced slightly above the $400 mark (I think $415-$425 is a good price for it). For $400 I’ve been making recommendations for the Schiit Asgard and the HRT Music Streamer II. That combination will give you a more potent amplifier section, though the HP-A3 DAC is quite better than the HRT Music Streamer II (it’s more of a match with the HRT MS II+ and the Cambridge Dacmagic). Obviously this is a strong performing product, and one that is designed to be very easy and very convenient to use. 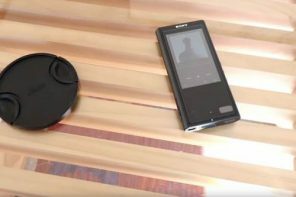 The necessity to use a USB power supply may be odd at first (for instance if you decide to use a CD player as a transport, you still need to hook up the Fostex’s USB port to a USB power supply. I use the Ipad’s adapter), but it’s really not a big issue. Anyway roughly for $400, the Fostex earns a very strong recommendation as it gives you a more potent DAC section than the CEntrance DACport. Schiit DAC — waiting for a review unit. Unfortunately no, I have not tried the Yulong D100. Am I right to say it’s possible to use it as a DAC only since it has analog output? And how’s the amp section in comparison to other DAC/amp combos out there? Yes it’s possible to use it as DAC only. out by itself, but it makes for a very good pairing with the DAC. question about amplifier power and voltage swing on this one… Is the amp at least as capable as the fiiO E9 in driving the 300 ohm senns? Yes, and this one is much smoother than the E9. I am not comparing A-B — but I think they are roughly the same in terms of voltage/gain. Isn’t the E9 based on the TPA6210 as well? Yes the amp is definitely smoother than the E9. The thing is that the centrance may not be a good route if I plan to use it as a pure dac to an audio system with speakers and maybe i’ll get an asgard or something to pair with the fostex for the senns in the future. Whadya think? 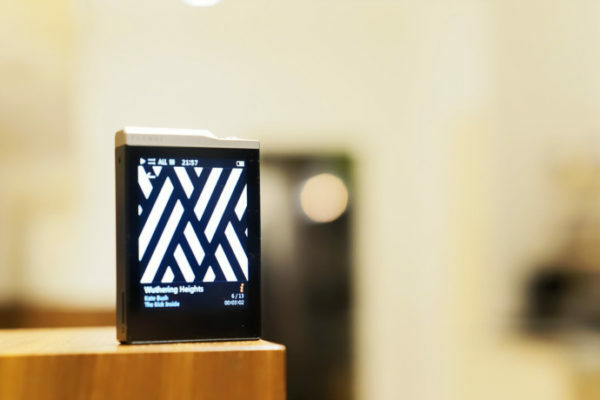 Just the centrance for the 600 and get a totally different dac for the home audio? will also do great as a DAC for your speaker system. …and are you saying that the dacport is more powerful than the e9? 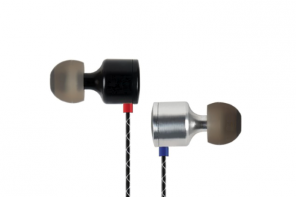 since you said that the fostex was similar in power to the e9 and the dacport was punchier? Or is that just the sound signature? I don’t want to get the dacport and be dissapointed that It wont drive the hd600 well. The e9 power is already enough for the hd600 for me for example but is a little hard and brittle sounding in absolute terms. Thanks again for the advice Mike. You sure have fueled a lot of spending around here lately with your awesome reviews and advice. DACport’s headphone out best as it gives me the punchiest bass. I no longer have the DACport, and the Burson is out at the moment man. The new pictures look quite great artistically. The thing I’m not fully sure is the functionality- letters on some chips are not that visible compared to say- the numbers on the board. If you do post processing then try to “burn” (make it darker in this case) in the stuff you want us to notice the most. Also try to extend the focal plane so that it covers the top of the caps, otherwise they are not legible and de-focused foregrounds are not pleasant to look at- it is natural for the eye to try to focus on the nearest object in the field of view so near blurry stuff feels kinda funny. One more thing- you might want to keep the visual style in this review consistent. It would be wise to keep all of the images in inverted colours. P.S. Great review as always. Keep up the good work in reaching new ways of expression. the blurry caps may look funny but that is just physics. the opamp (although the print is still not very visible). I know about fighting with the shallow depth of field. When I’m doing medium format photography then its highly crucial to read the scales and somehow try to get it all in. If you want to tinker a bit more in digital post-pro then you can always try stacking multiple exposures to get more depth of field. 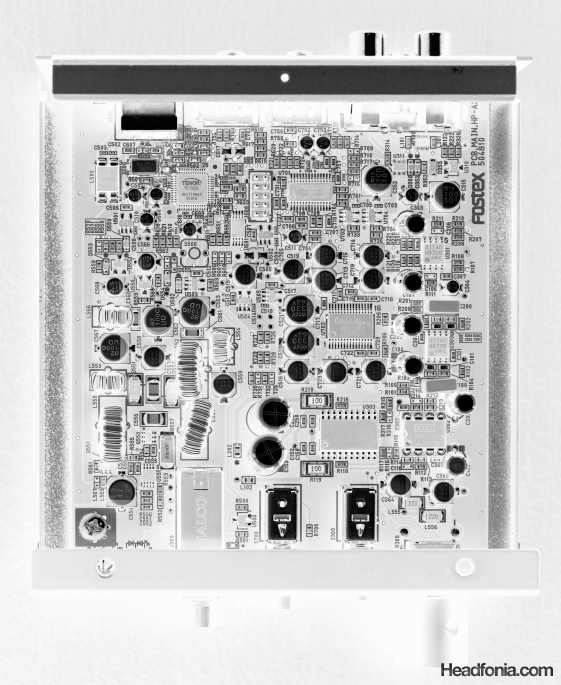 For example you could do another exposure that covers the caps or the op-amp, import it as another layer and just make a hole in the original exposure so one could see the sharp parts of the caps and so on. Sure, it is a bit of bore sometimes, though your ears all free to do some listening. Thanks for the input. Yes I do that for some of the shots. Hi Mike, trying to decide between this and dacport, does the fostex needs its usb power supply to sound good? Compared with dacport, while the fostex does not need its usb power supply, which one sounds better? on if there is a USB connection. Without it there is no power. also the digital data input. some USB charger (say an Ipad charger) for the HP-A3 to work. Ah, ok, yeah got it now. plain usb sounds good, now about the amp section, compared to dacport, does the fostex has better amp section? or equal? The only thing that interest me with the dacport is, it’s small size,but seeing i’m gonna use it only with laptop, i’m thinking of the fostex now. I like that better. I like the DAC section of the Fostex more. Yes the volume pot controls the analog out level. How does it compare to the Yulong U100? Hmm… it doesn’t have analog in. +1 for the U100. Yes, the U100 takes an analog in. As a DAC, however, the Fostex is much better. The Yulong U100 is brighter, more forward sounding. The Fostex is more laid back, smoother, more spacious, warmer. Thanks! After hearing the U100, I have to agree it’s a bit bright and forward sounding, it also sounds a bit flat and digitized to me, it doesn’t really suit my A2000X at all. I’m considering the HP-A3 now, does it have any competition at the $400 level? Size is not a concern to me. Sorry, I don’t know much about Amps or DACs! The HP-A3 is very good for the price, but it sounds like you need a warmer sounding box for the A2000X. Try the HRT MS2/MS2+ paired with the Schiit Asgard. Should be a better combination for the A2000X. U100 > A2000X is too bright. When you add 75ohm adaptor in between, that will soften up the treble and add bass body. Sort of a frequency shift to a darker, bassier headphone. And that is precisely what you need on that combo. Adding more resistance, i.e 150ohms, 300ohms in between will put a greater shift toward bassy/darker sound. The ER4P does the opposite, and it indeed opens up and becomes thinner sounding while displaying a better treble with the 75ohm adaptor. So again, in this case, that’s why you suggest that the sound is improved. The thing is that I’m totally foreign to the A2000X, and so I can’t really know what would be a good solution for it. But it seems that you totally hate the U100 for its bright sound with the A2000X, and based on that I would recommend you to go the opposite direction with something warm sounding. In this case the HRT MS2 DAC with the Schiit Asgard amp. I see, OK thanks for your advice. I’m waiting for coolfungadgets response and until then I’ll be reading Japanese reviews and bypassing the DAC section of the Yulong, it sounds better now when I connect it from my sound-card directly. I found one review saying W1000X is a great match with HP-A3, and I like your descriptions “tonality was very natural” and “smooth, spacious” etc. so I think I’ll most likely end up with the A3 in the end however I’ll consider the HRT MS2+. – DACport definitely has better power, by wideee margin. Which one has better life-like sound? realistic shimmer of instruments? Ups… my bad, I just realize that whenever I plug in the HP-A3, my computer system’s volume automatically back to center. It has far more than enough gain to drive PRM. Really? No I don’t think the gain is too small. As I already have an audinst HUD-MX1, I am looking to upgrade the sound, specifically clarity and my Hifiman HE300 sound a warm but I am looking to get something that will bring the details out. Would getting this be a better idea or would getting an amp, ( Such as the Asgard) be a better decision? P.S. This site is awesome! The Fostex will definitely give you more detail out of the D/A converter. You can also upgrade the amplifier and that would help too. 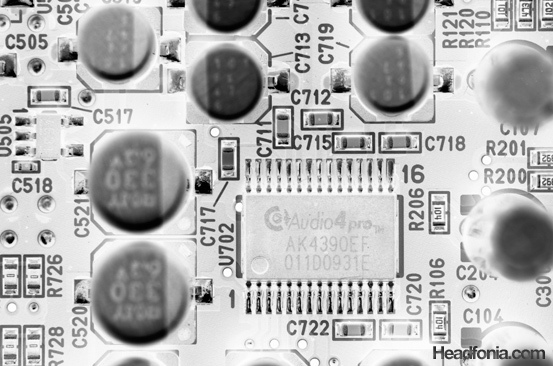 Both the DAC and the amplifier works together to give a better, more detailed signal to the headphone drivers, so sometimes it’s hard to choose which hardware to be upgraded first. 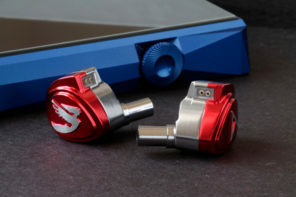 Would it be overkill then to get the Fostex and the Asgard?? or should I just go straight for a burson 160D. This hobby hurts the wallet… but I like getting closer and closer to the happiness. The upgrade from the my laptop to the Audinst . I travel every year or so I would like to get something small that I can fit in my bag. Since the fostex is about the same size I was interested. Sorry for all the questions but I’m in Korea and its hard to get anything hear. I head the Nuforce HDP and was not to happy with it. In that case just get the Fostex and don’t worry about the Asgard for now. Hi Mike, just a crazy question, compared to matrix mini-i, does the fostex sound better? Yes I think it’s better than the Mini-i. The DAC on the Fostex is very very good. would the amp in fostex be good enough to drive say he300, grado 225-325? It would be okay for the HE-300, and sufficient for the Grados. The key with the Fostex is that the DAC is very good, but the Amp is just sufficient. Mike, can you give me hiroaki’s email? I wanna know if i can just buy the hp-a3 straight from the company and have it shipped straight to where I live, because amazon jp doesn’t do international shipping on the fostex, and rakuten is just too much hazzle. Btw, was it easy for you in indonesia? cause sometimes the customs would get ‘moody’. Don’t think I can do that, sorry. Please just try to contact Fostex through the website, normally they have a contact form. 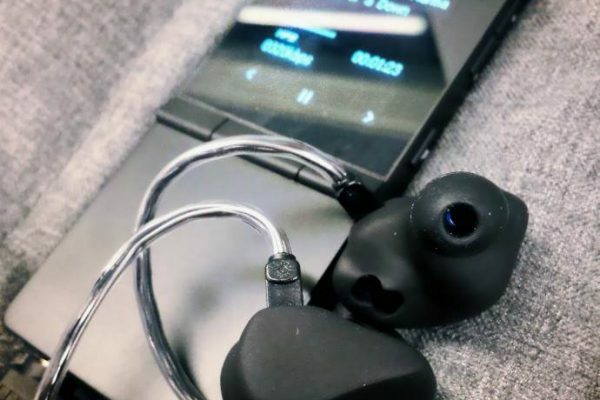 I’m currently using the Fiio E7+E9 combo to power my AD1000PRM and am looking for an upgrade. Will the A3 do the job for me? For sure yes. Though the amp section won’t be that much more improved than the E9, but the DAC section is a leap ahead of the E7. If I do get the A3, will it be better if I used the E9 as the amp instead of the A3 (ie A3’s DAC + E9 amp)? Or should i just stick with the amp of the A3? The amps are roughly comparable, I would just use the A3 for simplicity sake. 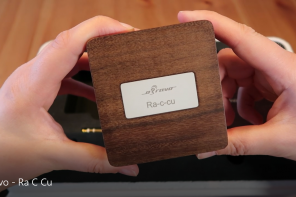 i’m not sure if this is a fair comparison, but how does the A3 compare to the old Meier Audio Corda Opera (or any of the Meier Audio USB DAC + Amp box in general)? Sorry I really can’t say. 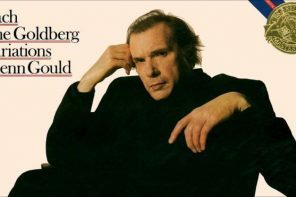 I never had a listen to the Opera. 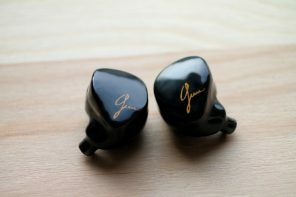 Hey I was wondering if you had a chance to compare it with the AMB Gamma 2. I’m looking for a DAC paired possibly with an Asgard or M-Stage to an HD650. 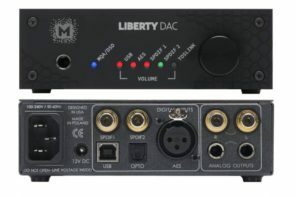 If not either, any recommendations for another possible DACs in this price range (w/ SPDIF inputs)? Thanks! Hmm interesting. Thanks for the response. What about the DACmagic makes you like it better than the Gamma 2? I got the impression that they had different sound signatures with the DACmagic being more neutral and the Gamma 2 being warmer and more musical. The DACmagic is smoother and overall more pleasing. It’s also less dark than the Gamma 2 — but this is a matter of system synergy. Not to mention that the DACmagic is a ready-to-use product with much better build quality and more input/outputs. It also has a balanced out I think. Putting portability aside, how does the Fostex A3 compare to the Fostex P1 in terms of sound? Very very close sound signature, definitely the same Fostex sound. Thing is I’ve never compared the HP-P1 and the A3 side by side so I can’t really say which is the better one technically, but based on various listening experiences I think the HP-A3 is a tad better. Can they drive the Hifiman HE-300? looks like a wonderful piece of equipment. Same price range as the DacPort as well as the Yulong D100. I actually had the first, and sold it to buy the second, and am very, very happy I did. You might want to try that out when you get the chance. I think it’s spectacular as a DAC, though the amp section is not quite sufficient for the JH13s IMHO. Yes, phenomenal DAC but so-so headphone amp section. The amp is pretty transparent, just lacking punch. Do you think the DAC section of the A3 is good enough for an amp like the Audio Technica HA5000? I like the convenience of having a USB powered DAC, but I’m not sure if it’s potent enough for a >$1000 amp. Thanks a lot Mike! 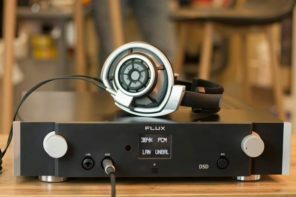 Would the A3’s DAC be an improvement over the Fostex HP-P1’s DAC though? I’m asking because I already have the P1. Yes. It would be an improvement over the P1. Hi Mike, now i’m owning Hp-A3 and Beyer T1, which headphone amp i should go?let say i put a limiter on budget at usd500. or is it better for me to grab burson 160DS at usd800? 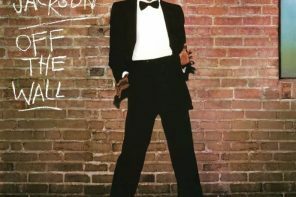 my music goes around vocal audiophile, jazz,pop,light rock. thx in advance and happy new year 2012! I haven’t done a direct comparison between the two, Nick, sorry. Hmm… I guess I’ll go for the Fostex for simplicity sake, don’t have the luxury of opamp shopping around here and the Fostex’s higher performing DAC chip could be paired with a better amp afterwards, thx for the advice! Alright Nick. Enjoy the Fostex! IF the Dacmagic Plus’ DAC is similar to the original Dacmagic, then the HP-A3 would still be better. One thing I want to add about the Dr. DAC2 is that there are plenty of op-amp rolling capability with it. Mike now that i have the lcd2’s the E10 isnt cutting it for a desktop. I know i know i’m an addict…But i would like to get a strong all in one to keep my desktop neat… so the Fostex is pretty appealing but i am having to acknowledge my basshead, warmish tendencies… is the fostex going to cut it for someone wanting a warm, hard hitting bass… i am not sure if the dac or the amp contributes more to this… the Halide Devilsound cable dac sounds like what i am after but i’d like my amp/ dac to be an all in one in the $500 range.. or a neat set up in that price range… any more than $500 and i am pushing it… maybe 600 tops…any suggestions? i know the he400 is better for th at live hard hitting sound but i am just trying to maximize musicality, and think the lcd2 is so clear that details are not an issue with whatever dac i get…. for me its more about ample low end, full bodied mid range and smooth treble, alot of headfiers were saying Teac and Onkyo amp/dacs lay waste to Hrt ms2 and cambridge dacmagic which were the ones i was looking at, but you haven’t steered me wrong so far so i thought i would ask you… i get the feeling that the fostex is a fine dac but headphone out is still going to fall in the audiophile catagory and not the music lover category… i just want my music to sound awesome…. fostex or something else? The Fostex would be a little weak on bass impact. What are the other options… The Dacport (with the headphone amp built in) actually has a nice bass punch and drives the LCD-2 quite well. Thanks, I can actually take a listen to that one without having to commit…. the local Long Beach Best Buy has built out there high end area with a pretty wide array of headphones and components and two I know they carry are the Dacport and dragonfly USB…. I’ll head over with my LCD2’s and iPod at lunch…. thanks. 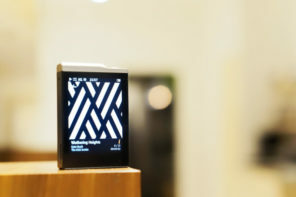 BTW you probably know about this, but ALO is coming out with a desktop amp called the “Pan-Am” in September…. It’d be nice to see you guys do a review of that one…. I really think that ALO puts some wonderfully sublime products to market…. I can’t imagine their flagship desktop will be anything less. Regards. Yes the Pan Am amp.. I’m aware that they’re working on it, but I don’t know anything about it, or even the tubes that it uses. Hi Mike. Which one would be better for my HD 650. The Fostex HP-A3 or the Centrance Dacport for Jazz, Classical, Vocal? Thanks for your answer and help. Judas Rockin’ Priest! These HD650 questions just don’t stop. Do you NEED an all in one unit? If you do, the Fostex is the better dac and the dacport has the more punchy amp. 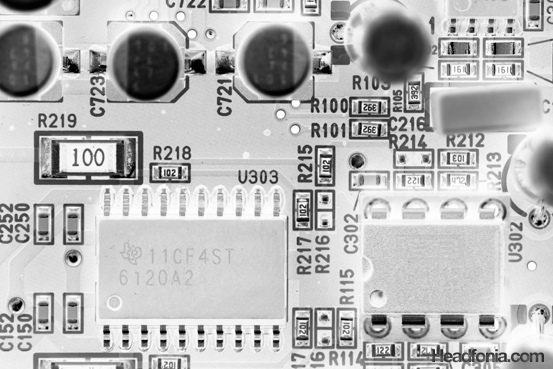 If not, get the dacport lx and pair it with (in order of lowest price to highest/best) a cMoy with a 24v adapter, C421, Crack or LF 339. I’m not even going to bother answering that. Okay maybe I will. Oh I see, my answer wasn’t good enough for him! X2 on what Nick Tam and Trent_D said. Let me know if you have other questions. Great. Thanks to all of you. hi mike, which one have better dac section, dacport LX or fostex hp-a3? read the dacport lx review. The two are compared. Hi, Mike, I have HP-A3 and HD650, they work just fine and I’m also looking for a decent amplifier to pair with them. Do you have some recommendation? Thanks! Well, I seldom heard of this amp before 🙂 It’s seldom seen in China, let me check how to buy it. The other amp you should take a look at is the La Figaro 336c. Being a Chinese company, it would be easier for you to get, and it also sounds wonderful with the HD650. It is a bit more laid back than the Crack, though. Dave, thanks a lot for your recommend! The 336C and 339 are great! Hey guys, I’m looking for a neutral sounding amp/dac for studio referencing, and the HP-A3 and EHP-O2D are retailing at the same price in my area. In your opinion, which of these would work best with the DT-880 600ohm headphones? Hi Mike! Do you think it necessary if i upgrade to hp-a3 from my hp-p1. I use hd600 . Better you add an amp IMO. Hi Mike. Do you think this DAC can be good partner with a Beyerdynamic T90? I think it’s a good DAC but I’d prefer to have a tube amp for the T90. Thanks for the detail review. I bout A3 yesterday after reading the review. 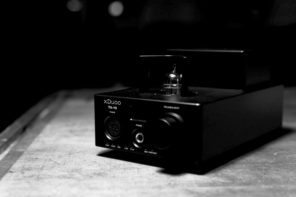 I want to connect A3 with pioneer integrated amplifier. Please let me know whether I should connect the RCA output or phone output from A3 to get better sound. The RCA out of course. You’re connecting to an amp right? Hello Mike. Can you recommend a tube amp for A3. Can’t afford Bottlehead Crack I’m afraid. what phones are you using? I wish ,can get an idea how the Bryston BDA-1, or any other $ 2000 range ‘ dac, headfonia did reviewed probably just the audio-gd? how they compare to the fostex HP A8 ‘ is the fostex much behind them ? Wanted to ask about if you have tried the CDAC+ which is an odac with better isolation and dc power source, it supposedly sounds very good, I am up in the air. I could get this Fostex A3 for 185, or the I could go with the DACport XL for 140$, and get an amp under 110$. What wouldd you think would bring out better sound quality? I am using the DT 990 pros. will the combination of A3 + HD650 make them sound good? I have been using one of these for roughly 2 years now. I live in Japan, so I was able to pick this up at an affordable price easily from Amazon Japan. It does look like FOSTEX are now trying to set up distribution outside of Japan though – there are hints everywhere, such as English manuals popping up online. The sound is excellent, I have had zero issues using this connected to my computer. I primarily listen to lossless audio from my computer with the HP-A3 and Sennheiser Momentum headphones. It is more than loud enough, and is very clear with no detectable hiss. The reason the amp needs the full 0.5A USB power supply at all times is the power regeneration circuit inside, which is used to remove noise from the USB power supply (which is very noisy when it comes from a computer!) and boost up the voltage required for the amplifier. The case gets slightly warm because of that. However, it was a good design decision – they managed to get perfect (in my opinion) audio without needing a separate power supply! I have no complaints at all, and plan to connect my TV’s digital out to the digital in on this device so that I may switch to TV audio at the click of a button on the front. My TVs headphone output sounds like someone is rubbing plastic bags together constantly. I should add it is very important you power this device directly from the computer, or from a GOOD QUALITY powered USB hub. Do NOT power it from an unpowered hub – if it works at all, it will compromise the audio quality. It really does need to draw the maximum allowed power under the USB specification (500mA). If you have any spare USB 3 ports, I recommend using one of those instead – they supply 900mA – so if your computer is a little sub-par, that may improve things. Yes, it works perfectly – I even think it was designed exactly for that use case. You can keep the headphones plugged in and switch to the active speakers (or poweramp) with that “Phones / RCA” button, volume knob works for both. Note that the outputs are unbalanced and I also recognized hum and chirp on the RCA-out that was not present on headphone-out, so I switched to optical S/PDIF and power from an extra wall wart, which solved this (and also the “fixed at 24/96”) issue. This will be my setup for years.